"Great Stand! Helped while painting the car and now my son's car is neatly displayed in his room." This versatile pinewood derby display stand snaps together in a snap! It contains 3 pieces; a base, an arm and a platform to put your car on. We also include a small insert piece so you can hold your car on the platform while painting it without getting paint on your fingers. It is made of plastic, so you can make your car stand cool by painting it the color of your car and decorate it with your left over decals and stickers. 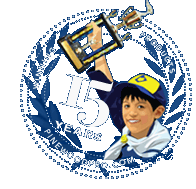 Write your name, Pack number and your race date on the base to record your pinewood derby race. You can then email pictures to info@pinewoodpro.com for inclusion in our Car Picture Gallery! Great way to display derby car. I painted the stand to complement the car.